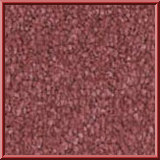 Bedroom Carpet at cheap prices in Pink. We have added a helpful price calculator to help you work out the cheap cost of your new Carpet. Simply enter the length of your room to the nearest half meter, remembering to add at least 4-5cm and let our handy calculator work out the cost. Carousel Twist Pile Bedroom Carpet in Cerise Red (22). Bedroom carpets with a 12mm depth and a soft twist pile. Suitable for most areas of the home and available in rich deep colours. Carousel Twist Pile Bedroom Carpet in Emerald Green (40). Bedroom carpets with a 12mm depth and a soft twist pile. A huge collection of carpet available online at Abbey Carpets. Available in 25 colours. Carousel Twist Pile Bedroom Carpet in Lime Green (41). Bedroom carpets with a 12mm depth and a soft twist pile with a velvety texture that catches the light and gives your room a warm look. Carousel Twist Pile Bedroom Carpet in Snow White (69). Bedroom carpets with a 12mm depth and a soft twist pile. Suitable for most areas of the home. The most loved Snow White since Disney. Carousel Twist Pile Bedroom Carpet in Ivory (70). Bedroom carpets with a 12mm depth and a soft twist pile. The soft ivory colour coupled with the soft twist pile combine to make carpet heaven! Carousel Twist Pile Bedroom Carpet in Wheat Beige (72). Bedroom carpets with a 12mm depth and a soft twist pile. Available in 25 colours. A huge collection of carpet available online at Abbey Carpets. Carousel Twist Pile Bedroom Carpet in Silver (74). Bedroom carpets with a 12mm depth and a soft twist pile with a velvety texture that catches the light and gives your room a warm look.